This is an austere, elegant study in power and grace, blending 53% Merlot with 33% Cabernet Sauvignon, 9% Petit Verdot and 5% Cabernet Franc. Substantial and tannin-defined as many of its brethren of this vintage, it shows cedar, pencil shavings and a touch of tobacco, more savory than fruit-driven. Drink now through 2023. Dark red with a purple hue. Classic Stags Leap District aromatic profile with layers of blackberry, blueberry, black currant and highlighted with vanilla, coffee bean and dark chocolate. 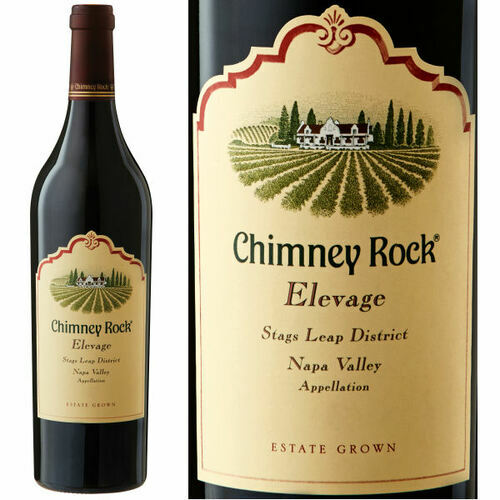 The velvet palate is back with the elegant tannins that Elevage is known for. Round and pleasant with no hard edges this wine has beautiful fruit on delivery with a luscious mid-palate and a long finish.